This is an aerial view of the Silver Bay YMCA central campus, looking north. The Silver Bay YMCA Conference and Family Retreat Center plans to modernize its wastewater capabilities in the fall. Silver Bay recently submitted and received approval for its design plans from he state to replace its existing wastewater system with a new membrane bioreactors (MBR), Silver Bay CEO said. According to Tamm, Silver Bay recently embarked on an ambitious re-development plan for its historic campus. This included the interior renovation of the first and second floors in 2016, relocating its parking area and adding the new two-story, 42,000-square-foot William Boyd Center. 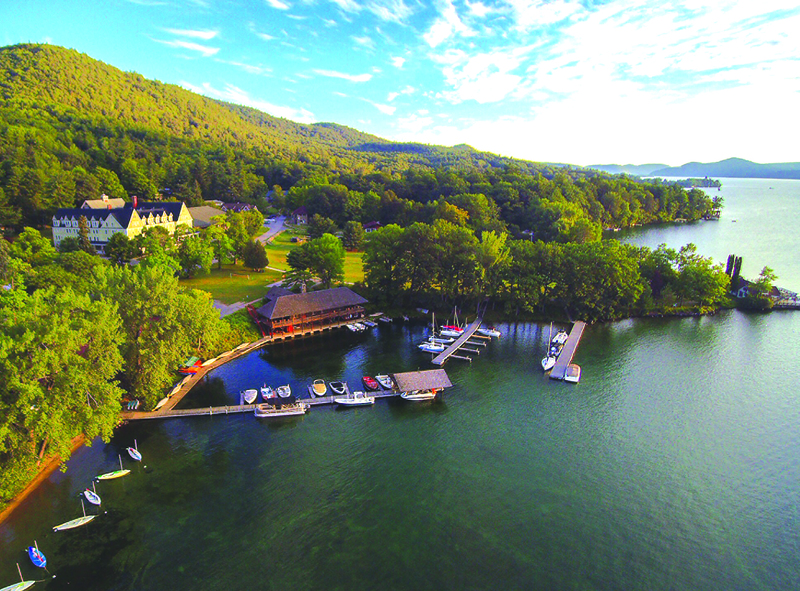 “As we continue to invest in upgrading our lodging and amenities, it is equally important that we ensure we are being good stewards of Lake George. A key part of Silver Bay’s mission is to ensure we are having a positive effect on the local community, local economy and local environment,” said Tamm. 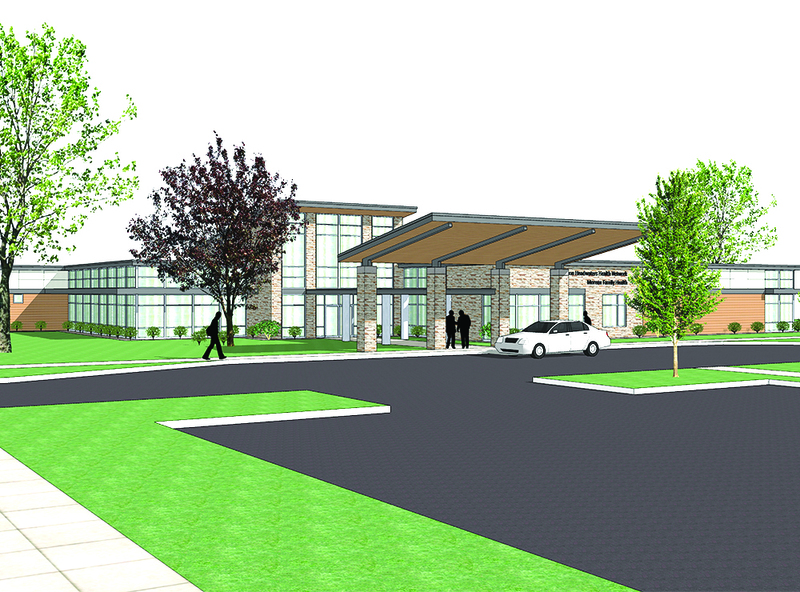 The new medical center will built on 5.1 acres of land Hudson Headwaters purchased last June at 1299 Route 9 and 34 Fawn Road, close to the Northway. Glens Falls Hospital will lease about 6,000 square feet, where it will provide medical imaging and laboratory services. Another 2,500 square feet are set aside for a stand-alone pharmacy. The FUND for Lake George announced $443,000 in grant awards across each of The FUND’s “four portals to protection”—science of solutions, invasive species prevention and treatment, salt reduction, and water quality and clarity protection. The ADK (Adirondack Mountain Club) is the recipient of a 2018 REI Foundation Stewardship Grant for the Adirondack High Peaks Summit Stewardship Program. The Summit Steward Program, a partnership of ADK, the Adirondack Chapter of the Nature Conservancy, and the state Department of Environmental Conservation, protects New York’s alpine habitat through education, trail work, and research. “REI Rochester is excited to partner with the ADK Summit Stewards program. It strongly lines up with our passion to inspire, educate and outfit for a lifetime of outdoor adventure and stewardship,” said Emily Copland, manager of the Rochester REI. 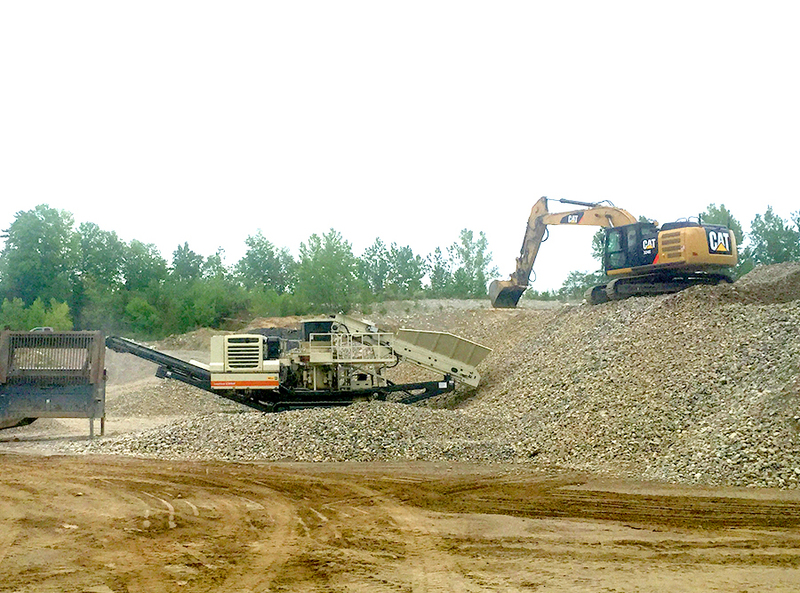 Work goes on in the quarry at the O’Connor Companies of Glens Falls. The O’Connor Companies of Glens Falls, a fourth generation excavating, construction, and industrial building contractor, recently completed two site work projects in the region—Asad Petroleum, a gas station, truck stop and convenience store Route 149 and Ridge Road in Queensbury, and Fastrac Café at 208 Corinth Road, Queensbury, also a convenience store and gas station. The excavation and site work for both projects was done by O’Connor. According to Scott Howe, construction manager, Fastrac is contemplating opening as many as 12 more stores in the region He said that O’Connor will bid on the projects as they happen. Fastrac Cafés are open 24 hours and they offer a broader range of food and beverages than some of the smaller convenient stores. The newest store in Queensbury is located just off the Northway Exit 18 and has resulted in the creation of several part-time and full-time positions. Magazine Names Apex Solar Power One Of The Top Solar Installing Companies In The U.S. This is one of the solar roof installations done by Apex Solar Power. The company employs 100 workers and says it installed 7,879,000 watts of solar power in 2016. Local solar installer Apex Solar Power was named one of the top solar contractors in the U.S. by Solar Power World magazine. Apex was 136 out of 500 solar companies ranked by the magazine. The Top Solar Contractors list is developed by Solar Power World to recognize the work completed by solar contractors across the country. Produced annually, the list celebrates the achievements of U.S. solar developers, subcontractors and installers within the utility, commercial and residential markets. The list was released on July 25. The U.S. solar market installed more than 14,700 MW of solar in 2016, nearly doubling the capacity installed in 2015, according to the magazine. For the first time ever, solar was ranked as the No. 1 source of new electric generating capacity additions brought online throughout the year. 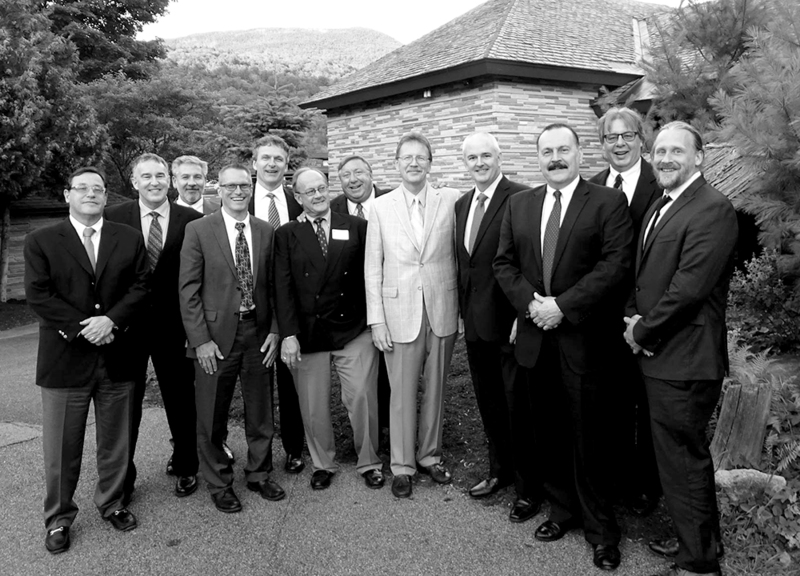 Officials from RPI, IBM and the Fund for Lake George gather after receiving the Harold K. Hochschild Award at the Adirondack Experience, The Museum on Blue Mountain Lake in July. The Jefferson Project at Lake George was awarded the 2017 Harold K. Hochschild Award at the annual benefit gala of the Adirondack Experience, The Museum on Blue Mountain Lake in July. The Jefferson Project—a collaboration between Rensselaer Polytechnic Institute, IBM Research and The Fund for Lake George—uses technology and science to preserve and protect the Lake George, known as the Queen of American Lakes. The Harold K. Hochschild Award is dedicated to the memory of the museum’s founder, whose passion for the Adirondacks, its people and environment inspired the creation of the institution and the establishment of the Adirondack Park Agency. Presented annually to recipients in a wide range of fields throughout the Adirondack Park, it honors their work to improve the region’s culture and quality of life. The Jefferson Project combines Internet of Things technology and powerful analytics with science to create a new model for environmental monitoring and prediction, according to project officials. Boat N RV Condos has installed solar roofing at this Saratoga Springs facility. Boat N RV Condos, an indoor storage facility for boats, RVs, and similar recreation equipment, has gone solar at all three of its facilities—in Saratoga Springs, Glens Falls and Latham. The most recent project, in Saratoga Springs, was completed in July. The Glens Falls facility went solar last February. 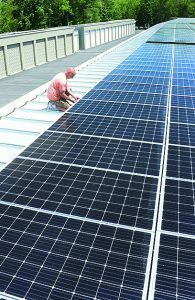 Concord Pools in Latham, the company’s flagship facility, has had solar panels on its roof for 10 years. The buildings have “massive roof square footage,” said Michael Giavanone, who heads the company. The company is renting its rooftop space to Monolith Solar on a 20-year lease, said Giavanone. That company supplied and installed the equipment and maintains it. The panels produce enough energy to keep the host facility in electricity and Monolith feeds the rest back into the grid. Through the agreement, Boat N RV gets free electricity as well as rent payments from Monolith. Monolith, in return, gets paid for the energy it returns to the electricity grid. The boating storage areas “are not high-demand facilities,” Giavanone said, so the bulk of the power produced on the rooftops goes into the grid. The New York State Energy Research and Development Authority (NYSERDA) has developed a Solar PILOT Toolkit to assist the state’s municipalities in understanding and negotiating payment-in-lieu-of taxes (PILOT) agreements for solar projects larger than 1mw, including community solar projects. 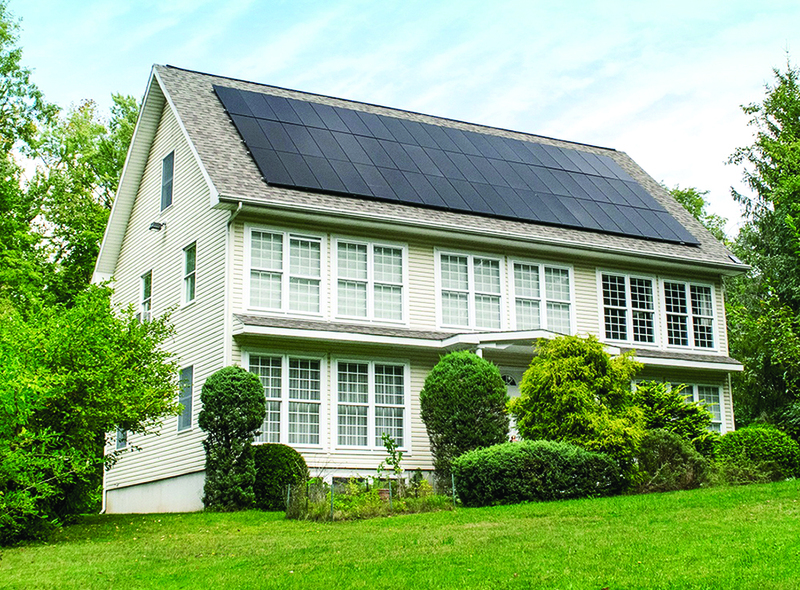 Based on feedback from local government officials and solar industry representatives, NYSERDA developed the toolkit in response to the need for greater information on PILOT agreements as solar projects develop throughout the state, officials said. The Solar PILOT Toolkit provides a framework for local taxing jurisdictions to negotiate payment agreements with solar developers. In addition to their clean energy and job-creation benefits, solar developments can yield significant financial value to municipalities through PILOT agreement payments, according to NYSERDA. The toolkit addresses the lack of information on property tax issues around solar development and is designed to enable municipalities to work with developers to negotiate PILOT rates that benefit the community and make the projects financially attractive to developers and their customers.